I have the greatest job! I get to spend the majority of my work week searching for unique and beautiful items that will make our client’s projects one of a kind! Here are a few of my favorite finds…so far! This fun and funky mirror fit so well into a recent teen’s bathroom we remodeled. It gave a feeling of being almost grown up but with enough whimsy that the room didn’t feel stuff. And the great thing about it was the price. Designer mirrors can go into the hundreds of dollars. 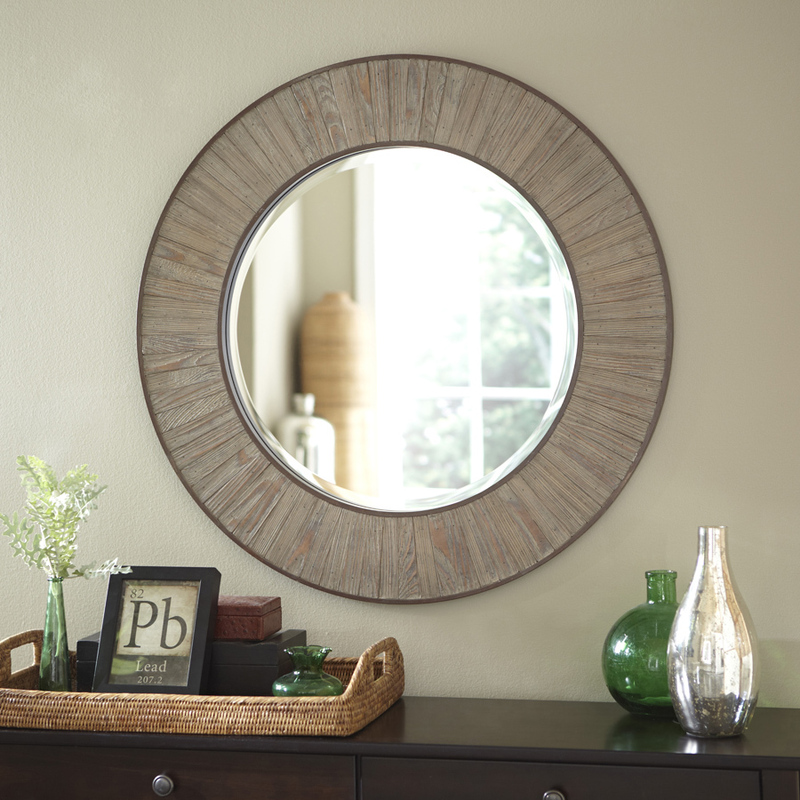 But this made my list because it has all the qualities of a high end mirror for under $100! We have all seen farmhouse sinks. Not a unique thought! But, this sink is simply stunning. It can be used in all styles of kitchens and is made of some seriously strong material. I am in a full-bowl phase of life and this beauty just makes my heart happy! I imagine that if we logged our hours each year spent in the tile store it would fall in the thousands. If it is manufactured, we have probably seen it. Of them all…this is by far a favorite. It is made to look like wood flooring, but not your standard flat wood flooring, this has a rustic barn-like quality. And before you think you can’t use it in your modern design, we used it in a pretty transitional space and it brought the kitchen to life!